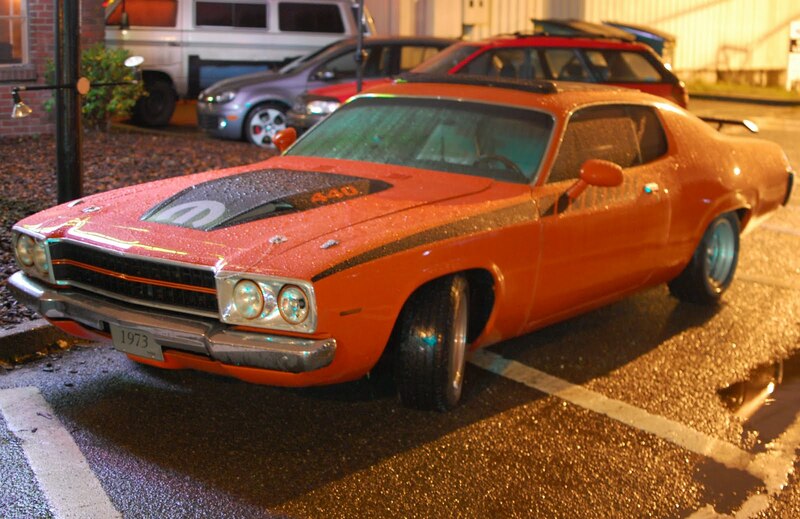 Here is a 1973 Plymouth Road Runner, a true bare-bones muscle car. The 440 cu in (7.2L!) V8 would certainly provide serious propulsion, via a 3-speed TorqueFlight automatic transmission.